The latest batch of screens showing off the nicely polished Metal Gear Solid HD Collection seem to have a puzzling fixation on the menus. 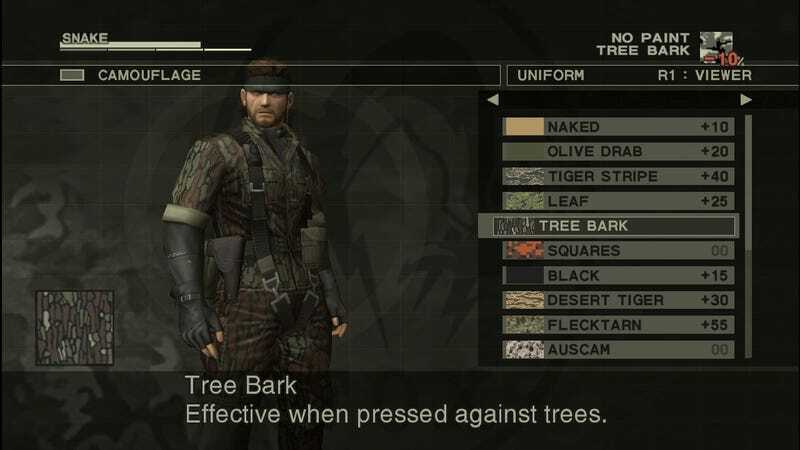 I suppose it's fitting, as I spent a lot of time in Snake Eater flipping through menus to play dress up, apply makeup, and consume reptiles. And yeah, that probably won't change.